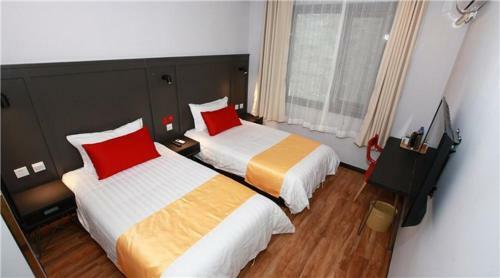 Elan Hotel Bejing Qianmen Avenue Pedestrian street is set in Beijing, 300 metres from Qianmen Street. The property accepts Mainland Chinese Citizens only. Guests can enjoy the on-site restaurant. Every room at this hotel is air conditioned and is equipped with a flat-screen TV with cable channels. Certain units include a seating area for your convenience. You will find a kettle in the room. Each room is equipped with a private bathroom equipped with a shower. For your comfort, you will find slippers and free toiletries. Dashilan Street is 500 metres from Elan Hotel Bejing Qianmen Avenue Pe, while Tiananmen Square is 1.3 km away. Beijing Nanyuan Airport is 12 km from the property. Please note that due to local licensing guidelines, Elan Hotel Bejing Qianmen Avenue Pedestrian street is only able to accept Mainland Chinese citizens. Guests must present a valid PRC Identification Card upon check-in. The hotel apologises for any inconvenience caused. This property reserves the right to release the room after 18:00 on the day of check-in. Guests who plan to arrive after this time should contact the property directly. The contact information can be found on the confirmation letter. 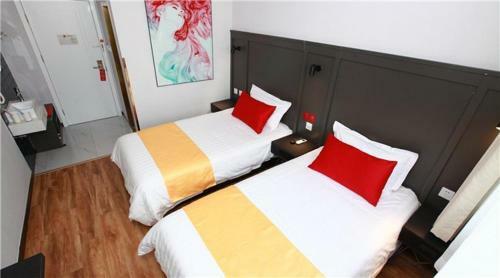 This double room has a seating area, air conditioning and electric kettle. This room can only accommodate Mainland Chinese citizens. This twin room features a electric kettle, seating area and cable TV. This room can only accommodate Mainland Chinese citizens. This family room has a seating area, air conditioning and electric kettle. This room can only accommodate Mainland Chinese citizens. 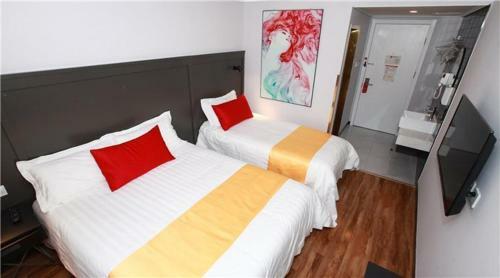 This twin room features air conditioning, electric kettle and seating area. This room can only accommodate Mainland Chinese citizens. This double room has an electric kettle, seating area and cable TV. This room can only accommodate Mainland Chinese citizens.